Great Pizza In Whistler Resort During All Seasons! Avalanche Pizza is Whistler's best pizza restaurant with a convenient location in Whistler Village. For pizza lovers, the perfect haven is Avalanche Pizza. 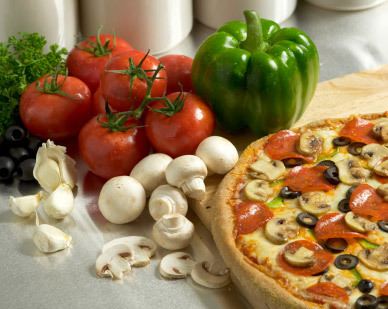 Whistler residents and visitors are guaranteed mouth-watering pizzas made fresh daily from the finest ingredients. You can choose from a large selection of menu items and delivery is available in all areas of Whistler BC Canada. Order online using the website or call 604.932.3131 to order over the telephone. Avalanche Pizza is the perfect lunch or dinner catering choice for your large group event. We can deliver to various location in Whistler for your event. Call today to discuss the catering possibilities for your next corporate or social event in Whistler Resort. Stop at Avalanche Pizza for a great lunch or dinner break during your vacation trip to Whistler resort during any season. Our local chefs are always available to prepare your favorite meal 7 days a week. Whenever your craving hits, you can always visit Avalanche Pizza, Whistler Village's best Italian eatery for delicious pizza. Avalanche Pizza is the longest operating locally owned pizza restaurant in Whistler, BC, Canada and has providing the community with excellent service for many years. The menu at the Avalanche Pizza restaurant offers a wide selection of Italian style cuisine to enjoy. Avalanche Pizza uses the freshest ingredients from local community sources. All the food at the Avalanche Pizza restaurant is made by skilled chefs who prepare a selection for the community each day. Your satisfaction is our priority here at Avalanche Pizza – Whistler, BC’s ultimate pizza place.